Anna-Margaret Goldman, M.A., Ph.D., joined the Rural Institute for Inclusive Communities as the Director of MonTECH in 2015. Anna-Margaret graduated from Miami University of Ohio in Organizational Communication. 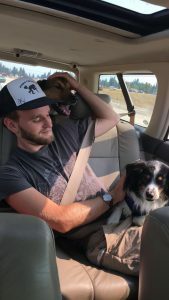 Following college, she served as an AmeriCorps VISTA and continued her work as a Youth Development Coordinator for The Flagship Program in Missoula, Montana. Anna-Margaret received her Master’s degree and her Ph.D. in Higher Education Administration at The University of Alabama. During this time, she worked for the International Journal of Researcher Development and with the Center of Sustainable Service and Volunteerism to help run a school-based mentoring program. She is excited to bring her background in developing educational programs and trainings, partnering with community organizations, and grant writing/management to the assistive technology community. 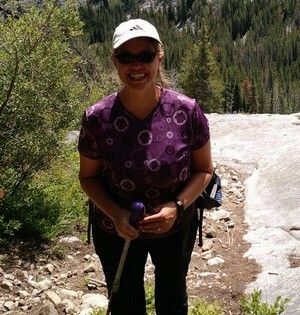 She enjoys hiking, running, skiing, and spending time with her husband and dog in her free time. 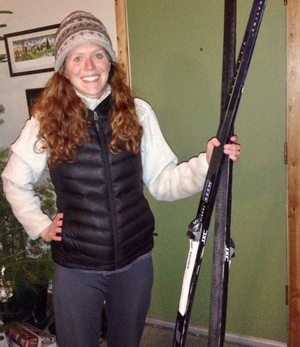 Claire Adam, DPT, joined the Rural Institute for Inclusive Communities in November, 2016, as the Clinical Coordinator for the Montana Adaptive Equipment Program (MAEP). Claire is originally from Seattle and has a Doctor of Physical Therapy degree from the University of Washington. 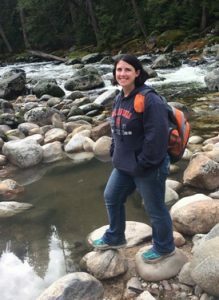 As a physical therapist, Claire has worked primarily with pediatric clients in both school and outpatient settings in Washington, Idaho, and Montana. She is looking forward to using her experience as a physical therapist to help people find the best adaptive equipment to meet their needs. 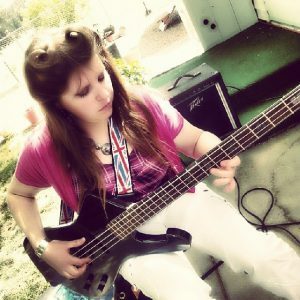 She is happy to be in Missoula and enjoys outdoor activities, especially hiking, backpacking, and cross-country skiing. She also enjoys swimming, yoga, reading, and going on adventures with her husband. Marlena Lanini, MOT, P.E., OTR/L, joined MonTECH in October of 2016 as the Eastern Clinical Coordinator for MonTECH’s new office in Billings. Marlena received a Master’s of Occupational Therapy from Colorado State University (CSU) in Fort Collins, CO. During this time, she worked for CSU’s Assistive Technology Resource Center, where she developed a love for helping connect people with the right technology. Marlena subsequently served as an occupational therapist in school districts in Colorado and Nevada. Prior to training as an occupational therapist, Marlena graduated from Northwestern University in Environmental Engineering and worked as a consulting engineer for ten years. Marlena is a Billings native and is excited to return to Montana. She enjoys camping, running, gardening, and spending time with her family. Michelle Allen, B.A., is the Assistive Technology Specialist for MonTECH. Michelle has a bachelor’s degree in Psychology and a minor in Family Relations/Child Development from Oklahoma State University. While working with children with developmental delays, she developed a love for assistive technology. She has experience working with equipment from low-tech to high-tech and strongly believes people can achieve their full potential with the right tools. Michelle enjoys problem solving and says there is nothing better than helping people find an item that enhances independence and increases participation in their community. 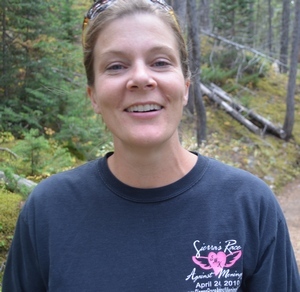 Michelle has lived in Missoula for 13 years and enjoys camping, hiking, and spending time with her family. Dave Gentry, B.S., is MonTECH’s Assistive Technology Resource Coordinator and has been with MonTECH since March, 2014. He manages the shipping and receiving of MonTECH items. 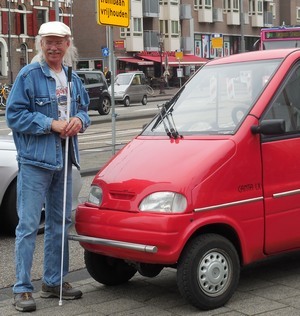 He is also an expert in the use of low-vision equipment and regularly demonstrates that equipment. Dave has a Bachelor of Science in Social Science from Frostburg State University in Maryland. He has had a long career in human services, working with the Housing Authority, WORD, Summit Independent Living, and in the Senior and Long-term Care Division for the state of Montana. Dave likes working with people with disabilities, playing a part in improving their quality of life. In his off-time, Dave is a classic-car enthusiast. His favorite completed project is a beautiful ‘57 Chevy two-door, hardtop Bel Air, which he rebuilt using parts from 15 different cars. Dave also enjoys live music and traveling the globe. Shawna Hanson, B.A., is the Media Outreach Coordinator for MonTECH. With degrees in journalism and English, and seven years working in academic publishing, she is pleased to promote MonTECH through presentations, print, and social media. Her unorthodox career path has permitted her to work with people facing a wide range of both physical and mental-health challenges. As the mother of a son who is nonverbal with severe autism, she has experienced first-hand the powerful difference assistive technology can make in the life of a family. Her experience, both at home and in the workplace, makes her an enthusiastic supporter of MonTECH. When not writing or talking about MonTECH, Shawna is engaged in the daily struggle not to be outwitted or outplayed by her teenaged sons. 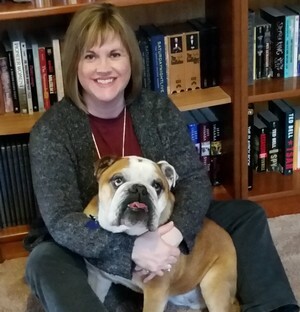 She is also an avid reader and dog-mom to bulldog Lu and basset Mookie. Stephanie Mansfield, B.S., originally joined MonTECH in 2015 as an undergraduate student to help organize inventory after the big move to the UM campus. In 2016, she graduated with a Bachelor of Science in Business Administration and joined the business team at the Rural Institute. Stephanie rejoined the MonTECH team on a part-time basis in Spring 2018. Stephanie has been instrumental in organizing and setting up inventory in MonTECH’s newest location in McGill Hall. She also provides demonstrations of technology, repairs equipment as needed, and participates in presentations about the program. Stephanie is currently a student in the MBA program at UM and will graduate in May 2019. She enjoys heavy metal music and video games. Parker Colbert is a fourth year student at the University of Montana pursuing a Bachelor of Science in Management of Information Systems and a minor in Computer Science. Parker works as Assistive Technology Support at MonTECH. He provides demonstrations and technological problem-solving to our consumers. He also assists in managing MonTECH’s large inventory and learning new devices and technology as they are purchased, then sharing what he learns with team members. When Parker is not working or going to school, you can catch him skiing in the winter and rafting in the summer, spending the in-between time with his friends and family.